The 26027EX Skort has the inner shorts and a pocket each side of the skort, ideal to keep a ball in if playing tennis. The majority of the bottom half of the skort is a highly breathable mesh. Yonex clothing intercepts infrared radiation and approximately 92%* of ultraviolet, minimizing heat build-up in clothing during play. The skort also has antistatic technology to prevet static electricity to keep you comfortable when playing, due to the carbon impregnated conductive fibres that are woven into the stitch of the clothing keeping you static free when playing and putting the skort on or off. Material: 100% Polyester. 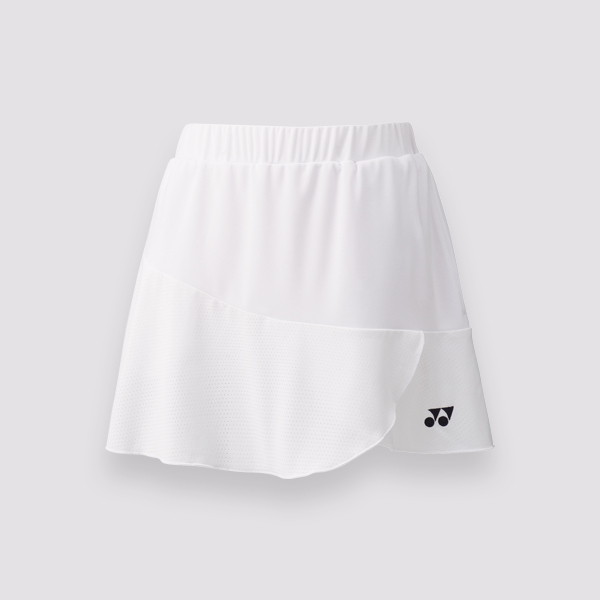 Do you own the Yonex Womens Skort 26027EX White?